Mr. Cassell, I wanted to take the time to write you this quick note to let you know how very much I enjoyed meeting and talking to you at the recent job fair I attended. What you said was very impressive and convinced me to take a chance and purchase my own 5C's career planning guide. At first I was somewhat skeptical of what you said because of my recent experience with a previous career coach I used who cost me several hundred dollars for which I got virtually “0” return for my investment. However, you were very enthusiastic and convincing so being a positive person I decided to take a chance on you and so I purchased my own 5C's career planning guide. The results I have been able to achieve in only a little over 2 months have restored my belief that not every consultant or coach out there today is only trying to get into your wallet. 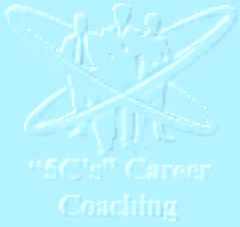 Using my 5C's career planning guide's recommendations for both format and content in my tailored resumes and cover letters, I began receiving invitations to interviews almost immediately. I have been complimented several times regarding both the content and format of my resume. To make a long story short using my 5C's career planning guide's recommendations yielded me 8 interviews in less than 2 months and 2 documented job offers, one of which I have just accepted. I want you to know I have recommended my 5C's career planning guide to several of my friends and I know at least 2 of them have purchased it. My wife will also be using it when she begins her new job search in the very soon to come new-year. Thanks again for helping me to get back on track and restore my self-confidence in my own abilities to manage my career. My recently purchased 5C's career planning guide is superb and based on my own experience I believe anyone using its recommendations, with the self-confidence, focus and intensity that is stated throughout my 5C's career planning guide, should have the same kind of success I have just had. You are most definitely a “PRO” in the field of career planning. Thanks!!! - George T.
Mr. Cassell, I am sending this email to let you know how successful my job search result has been after i began using my 5C's career planning guide which I recently purchased from my college book store. What a GEM!!!!! I have used virtually every recommendation it in to find and secure my new position which I have just recently accepted and started. Your tips on interview preparation, and the answers provided to key questions proved to be of great assistance to me. I also was able to use the strategies you recommended for negotiating a very good starting salary. My 5C's career planning guide is very easy to understand and easy to use but as you say over and over in it, one must practice, practice, practice to be able to be prepared for anything and everything you may encounter during an interview. I also want to mention that I personally found my 5C's career planning guide's self-evaluation check sheet and career planning line item examples to be very helpful in keeping me on track and in effectively evaluating myself so I was well prepared for the interview and salary negotiation steps. Great career planning guide and a real confidence builder that should work for anyone who follows its recommendations with drive and focus. - Sue W.
My name is Roger and I am writing you this short note to tell you how very helpful my 5C's career planning guide has been in assisting me to understand exactly how to search for and land my new job. I recently purchased my 5C's career planning guide and it has shown me how very little I really understood about career planning and how to find and secure a job. Its step by step process is easy to understand and for me it clearly made me, for the first time, understand that people who are successful at finding and landing new positions are not lucky, but rather are confident, organized and have a game plan for everything one needs to do to find and get that job. Using nearly every recommendation in my 5C's career planning guide has resulted in my securing several good interview opportunities and I have just recently accepted an excellent career opportunity with a fortune 500 company that I do not believe I could have accomplished without the guidance and recommendations contained in my 5C's career planning guide. Now I intend to use it's recommendations and strategies to position myself to get ready for that next promotional opportunity with my new employer. Great stuff Ron and it's easy for me to see and understand why you have been so successful after using your common sense but little known job search ideas myself. Best of luck with your newly launched website and company. - Roger B.
Ron, thanks again for the time and assistance you gave me in every step of the process that resulted in my winning and accepting my new position. While every step of the process was important, is was the interview preparation tips and practice of the frequently asked questions, along with your recommended answers, that were the meat and potatoes of my winning this job. I highly recommend you formally document all this information and consider becoming a professional career coach and assist others with this step by step process you shared with me. You're an ace - Jim A.
Ron, your advice and coaching were the confidence builders I needed to convince myself that I could and would win this job. Everything you coached me in was used at some point in the process. Your advice regarding how to negotiate my starting salary and vacation proved to be exactly right on. Thanks again for your expertise and especially with helping me build up my confidence. Rest assured I will continue to use your recommendations throughout my career. - Kim B.
Ron, just a quick note to let you know I would not have gotten this new position without your excellent tips and advice from how to format and document my resume to understanding how to look and act during my interviews as well as how to field those difficult questions. You really should consider doing this professionally because you are so good at it. Thanks again - Eric G.
Ron, not really sure I believed all the things you told me about how to find and then close the deal on my new position with Lear. How did you ever learn how to package such wonderful recommendations into a process flow that makes each step linked to and supportive of both the previous and the next challenge in the process. In any case I want you to know I am now a believer and I will be using these same exact methods again when and if I need them. Thanks again - Lavonia R.
Hi Ron, I just wanted to shoot you this quick email thanking you once again for your continued coaching and advice over these past 2 years. I used all your inputs in preparing myself for my new position as manager of warranty analysis. Your advice about acquiring IOU's from others was particularly valuable and was instrumental in my getting the needed support to be selected for this challenging promotion. As you recommended, I will be setting my sights on where I want to go next in about 6 to 12 months and will begin to use these same career planning methods again to achieve it. Best of luck in your retirement but you really should take up career coaching. Thanks again - Dave T.